Gas water heaters are common in most homes for various reasons. For example, they are cheaper to operate than electric ones are because of their low monthly costs. This cost-effective nature of gas water heaters results from their ease of operation. More specifically, propane or natural gas ignites a burner at the bottom of a gas water heater. A flue acts as a second form of heating. It sits at the center of the water heater and, exhaust gases run through it. There is a switch inside the tank. It shuts the burner when the water reaches a preset temperature. This switch enhances the efficiency of this burner by ensuring that it does not waste fuel. 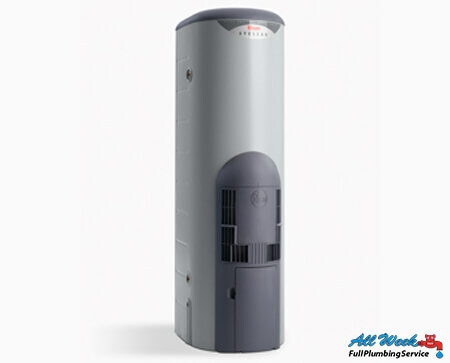 Other reasons to choose a gas water heater. It has a higher recovery rate than electric heaters. In other words, they take less time to reheat a water tank after use than electric heaters do. It can heat a fifty-gallon tank in an hour. It lasts for twelve to thirteen years. It can work even when there is a power outage in your area. At All Week we are experts at gas water heaters servicing, not only we can help you making the best choice of gas water heater for your property at the purchasing time. But you can also rely on us any time for gas water heater installation, repair, maintenance and replacement service.